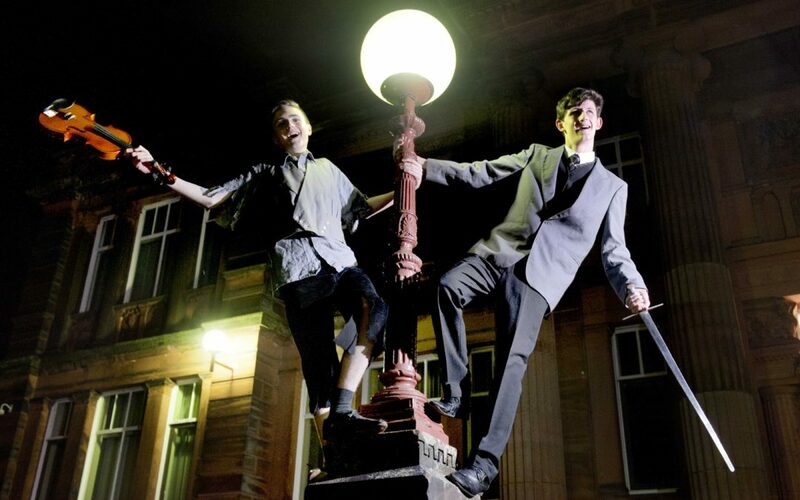 Staged, which takes place at Dumfries Academy on 24 November, where the teenage JM Barrie studied from 1873-78 is a highlight of the Dreams for the Future Festivalin Dumfries. Among the young actors taking part in Stagedwill be Ross Whalen who will take the role of JM Barrie in a short production called Barrie’s Legacy. Staged will also see The Theatre Royal Junior Guild of Players perform the first full production of Bandelero the Banditsince 1877. The play is a melodramatic tale of misunderstandings in which an attempt is made to free the unfortunate Bandelerowho has been captured and accused of a murder he didn’t commit. Another short play called The Lost Boys’ Reuniontakes place in a modern setting and imagines what would happen if Peter Pan contacted his old comrades for one last adventure. It is being performed by a group of 16-26 year olds with additional needs who are part of the Dumfries Arts Awards Programme. Heather Molloy, who wrote the script and has led the project, said: “They are a really talented bunch of young people and this is a production that will challenge people’s perceptions. The group helped develop the script, made the props and will be performing the show.